You could actually call this "X & Y The Second", as these guys having already ditched their first attempt at this album's production. Chris Martin has an answer, though - a return to events that occured in the last two albums as well -"we've set off very gung-ho thinking we're going to finish in two weeks, and in six months start all over again." 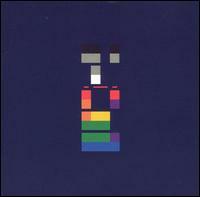 Not quite as much the Buckley-esque vocals and soulful melodies found in their debut album, Parachutes, but now we see a different Coldplay, working hard towards a rockier sound, sticking to their always formulaic style which now includes nods towards Kraftwerk, in "Talk" (and credited, natch) and The Pogues with "Swallowed In The Sea". Coldplay have finally managed to rid themselves of the Radiohead sound-a-like criticism, and with gusto.